The homebody count is high. I kept all my clothes folded on an armchair for the first year I lived in New York, until I brought a boy home and he told me it make me look like a serial killer. But guess what! You don't have to live like I did! Right now, Jet is having a sale on all its furniture and home goods. Promo codes good through July 9. 1. A shapely armchair that feels like part of the set from a Sean Connery Bond movie. 2. 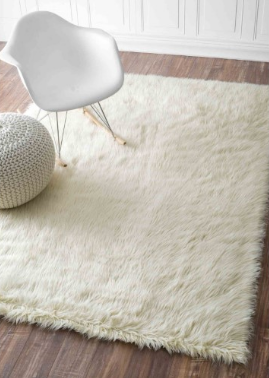 A cozy shag rug that will inspire you to become a barefoot household. 3. A patio fire pit that will up your s'mores intake by approximately 400%. 4. A mirrored cabinet that somehow seamlessly combines farmhouse and disco. 5. A mixed-media bookshelf that's elegantly industrial. 6. 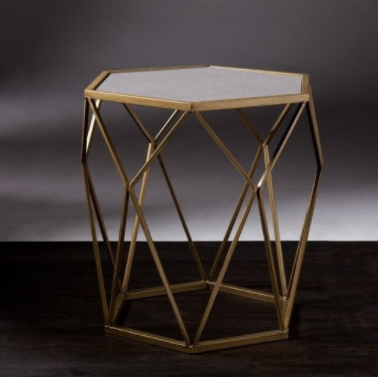 A mid-century side table that even design snobs will covet. 7. 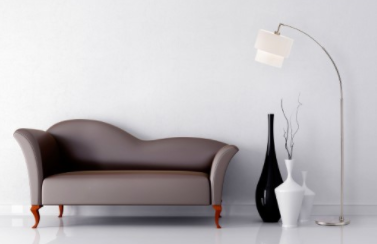 A sleek armchair that's also a totally respectable Eames dupe. 8. A space-saving shelving unit that will make your toilet feel less lonely. 9. A farmhouse-style table that could convince you to throw a dinner party. It seats six, so plan your guest list accordingly. 10. A reclining Adirondack chair, so you never have to choose between communing with nature and taking a nap. Pipe down, you loudmouth birds! 11. A steel-topped kitchen island that could be the solution your counter space deficit. 12. A spacious metal media tower that's dying to hold your succulents as well as your books. 13. A foam mattress topper that will make you want to renew your vows with your bed. 14. A simple floor lamp that bends to offer you its light, like it's auditioning for a role in The Giving Tree 2: This Time, It's a Lamp. 15. 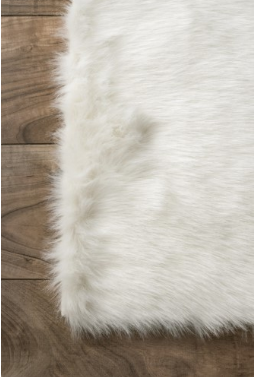 A geometric area rug that will make you look like you traveled the world in search of interesting rugs. 16. A sofa for anyone who would drape themselves in velvet if it were socially acceptable (h/t George Costanza). 17. 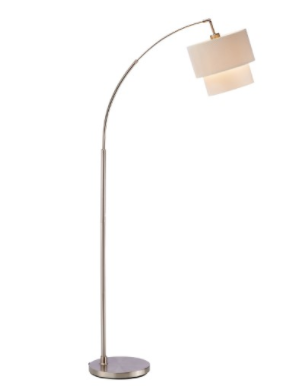 A vintage-inspired table lamp with a subtly luxurious marble base. 18. 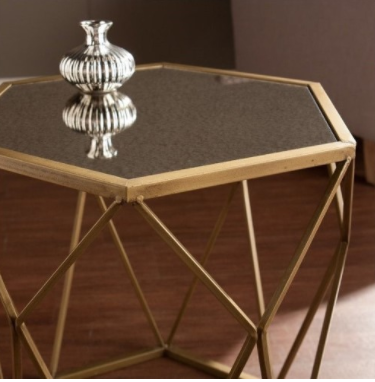 A gilded accent table with a serious Dynasty vibe. 19. A sleek futon that may put you at risk for indefinite houseguests. 20. An indoor/outdoor hammock that will fulfill all your Swiss Family Robinson fantasies. 21. A glass-sided coffee table with an ingenious design for showing off your books.